Because the services we offer to our Care Receivers are provided through Volunteers, you are important to us. We are committed to working with you to ensure that your volunteer experience is both positive and meaningful. To access the Volunteer Application, please fill out the “Sign Up to Volunteer” form below. We will email you a link to your own personal site where you can apply and enroll in orientation! On your application, be sure to provide two personal, non-family references that support eligibility. View the Online Orientation and then schedule an Interview at our office. Sign up and join us for a Group Orientation. View the Calendar to see the upcoming Group Orientation times and locations. Registration is important. If fewer than five people register for an orientation session, the session will be cancelled. Those who have registered will be notified if an orientation is cancelled. In the case of inclement weather, The Center will follow the Wake County School closings. If schools are closed, orientations will be cancelled. Copy of your current auto insurance card or declarations page of policy. Completed Criminal Background Check Authorization form .Read more about The Center’s Background Check Policy. $20 application processing fee is due before attending a Group Orientation or scheduling an interview. Click here to pay fee . After you submit this form, check your email for instructions on how to complete the application! 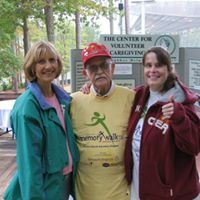 All orientations will be held at The Center for Volunteer Caregiving, 1150 SE Maynard Rd., Suite 210, Cary, NC 27511. The Center may cancel the orientation if less than 5 people register. There are 3 modules that take about 20 minutes each and may stopped and started, making it easy to complete on your schedule. In one-on-one interactions, from getting groceries and rides to the doctor, to light housekeeping and caregiver respite, volunteers provide support, companionship and assistance allowing care receivers to remain connected to their community and in their homes as long as possible. Through your Personal Site, you can update your information, find volunteer opportunities and report your hours. Click the link below to access a free copy of the Volunteer Handbook. A hard copy of this book is available for purchase at The Center for Volunteer Caregiving for $10.00. Contact us if you wish to buy a copy.